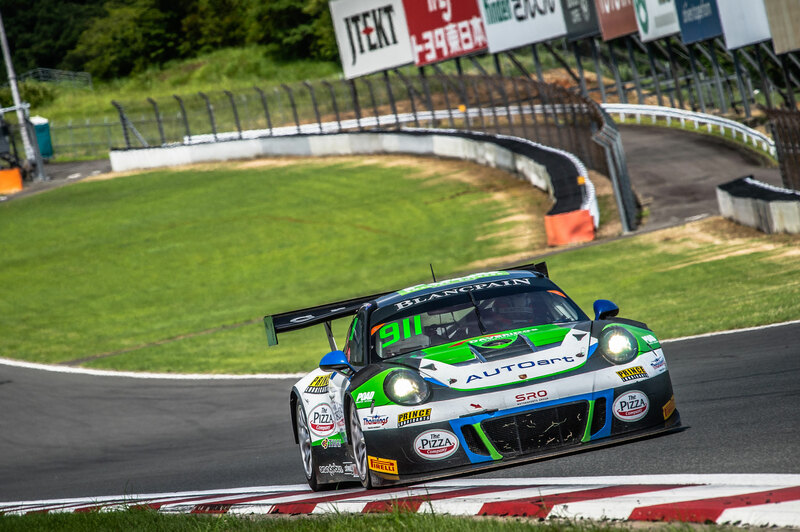 The fourth round of the Blancpain GT Series Asia took place at Japans famous Fuji Speedway, which sits on the foothills of the Mount Fuji. Thai racer Sandy Stuvik as usual was partnered by the Australian driver Shae Davies. 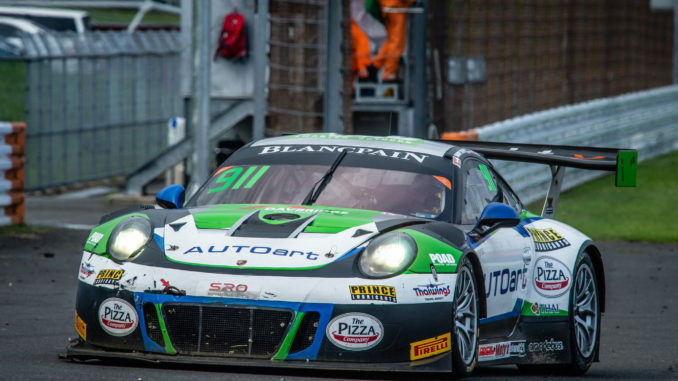 The Thai racer managed to qualify the Porsche GT3 R racing car on the 4th place for the first race, only beaten by the Nissan Nismo driver Edoardo Liberati, Ferrari’s Jono Lester and Lamborghini’s Dennis Lind. Rolling down the massive straight of the Fuji Speedway for the race release, Sandy Stuvik got off to a decent start heading into the first left corner of the circuit, but unfortunately was hit out wide by another car in the 33 car grid of supercars. As Stuvik tried to rejoin the circuit at full speed, another car drifted sideways and crashed into the Thai driver, causing him to dramatically careen off the circuit and into the retaining wall. With the car damaged Stuvik could only roll the car and pull out of the race. Sandy Stuvik was disappointed not being able to score points again in this race, but accept that incidents like this can happen in such a large group of supercars all pushing for position on the first lap.